I received an interesting email about the new housekeeping module. I can see the feature description but can't find a tab or button for it on my dashboard. How can I get access to the module? Yes, we are in the process of building an extension to the splash page for the Housekeeping module to explain how to get started. 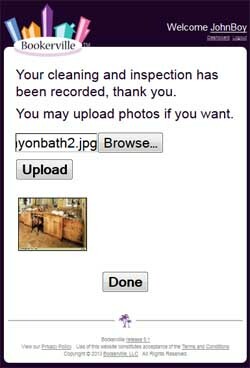 Eventually, a training video (aimed at cleaners) will be produced as well, but we are waiting for community feedback first, as we expect this new feature to be transformed over the next few weeks. First - if you have not done this already - you will need to create a new user for your account: Members With Permissions. Although that video does not show it (outdated by this new feature), there are now two more columns on the Members with Permission table: Clean and Inspect. Check both of these boxes for your newly-created user, and tap the Save button. The properties are listed in the order of priority, based on whether they've been cleaned and inspected or not, the next check-in, and whether they are currently occupied. Once done, that property will then have a green check-mark next to it on their property list, and will be sorted to the bottom. Hope this helps, and more to come. We expect feedback from community pilot-testing this new feature. 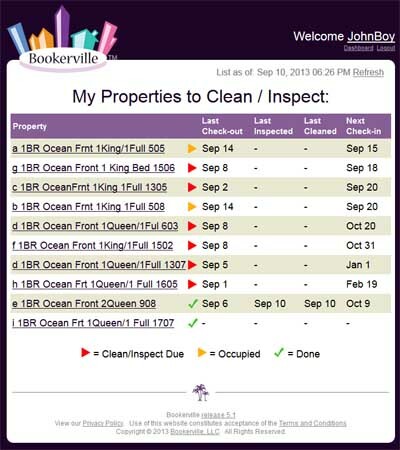 This shows you properties that have an approaching check-in, that have not been cleaned/inspected since that previous check-in. This should help you manage cleaning/inspecting schedules. And it's all in real-time, so as soon as the cleaner reports, the next time you refresh your page you should see the updates. Full reports are in development now, and should be available later this week. 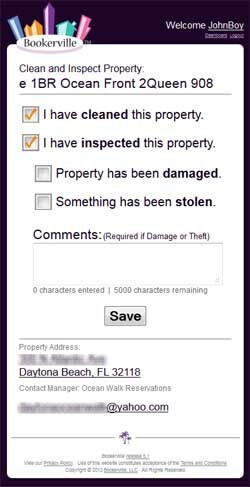 The reporting will show the complete history of cleanings/inspections, per property and you will be able to apply the usual filters that you can for all the other reports.